The University of South Dakota Strength and Conditioning Staff believe that Iron Wear Fitness products are the best on the market. We use the balance bows, weighted vests, and weighted shorts, in various ways. 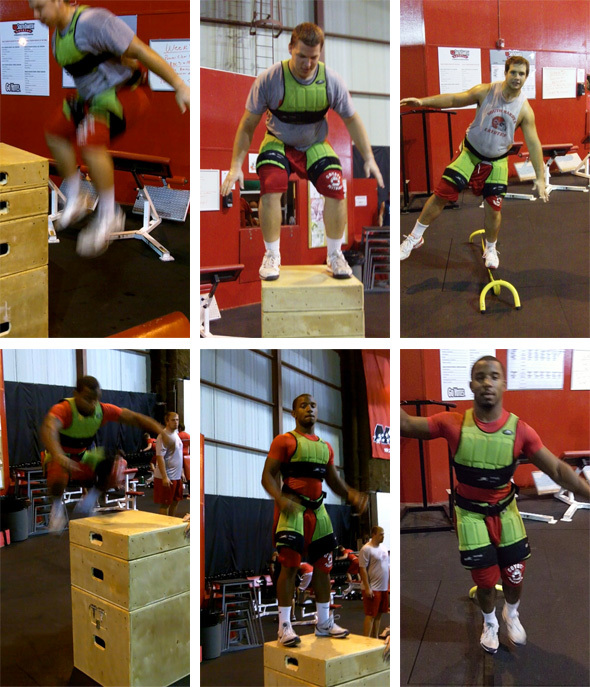 Some of the different exercises we use the weight vests and shorts with are different types of plyometric drills such as, box jumps, altitude drops, depth jumps, vertical jump, broad jump, simple agility drills and cone drills. The flex metal is great because it provides our athletes with weighted resistance that virtually molds to the way the body moves and is non-restrictive to any movement we have our athletes perform. Our staff would recommend any of the products that Iron Wear Fitness had developed because they simple make it practical for any sport movements. Also, the balance bows are of a great asset for any balance type of exercise whether it is for rehab or simply to improve balance for any athlete, it will provide a great workout! Iron Wear Fitness products are definitely state of the art and cutting edge for the sports world!